Punjab Public Service Commission announces the result of the candidates, who appear in their written test and interview, who apply against any particular job. It is responsibility of the PPSC to conduct the written test and the interviews of the candidates after receipt of their application forms against any post. When PPSC declares the result of the written tests and the interview, which are conducted by PPSC in the allotted exams centers, then PPSC makes the final recommendations of the candidates on the basis of the result of their written test and interview. 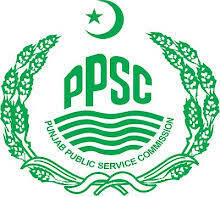 PPSC provides the PPSC final recommendations complete merit list of the candidates online and on the basis of this final recommendation of the candidates, the jobs are offered to the candidates and they are appointed on these vacant jobs.